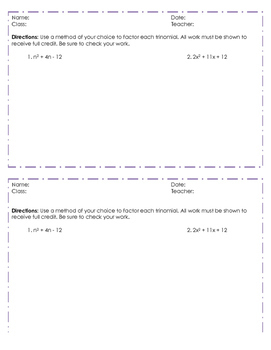 This document can be used as an exit ticket or check of understand throughout a lesson. It contains two problems for students to factor using the method of their choice. One problem is in the form x^2+bx+c and the other is in ax^2+bx+c.